Get ready for summer with this 30 day clean eating challenge at CFSWP! Join us officially or unofficially. Official Buy In: $10.00, due June 1st. All 30 day clean eating participants will be entered into a raffle to win a few prizes, including a Momentum jump rope, CFSWP car decal, wrist wrap, food tracking blog and more. You can follow the below info and use Robb Wolf’s 30 day Total Transformation as a guideline – available as a download ebook. Google 30 day total transformation or check it out in our CFSWP library. Recommended reading: The Paleo Coach by Jason Seib or Paleo Diet by Robb Wolf. So Let’s see how you look, feel and perform after 30 days of clean eating. You should notice a decrease of inflammation and swelling in your joints, legs and waistline. 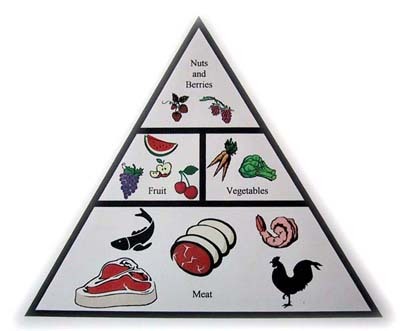 What to eat: lean meats, seafood, vegetables, fruits, nuts and healthy fats. Avoid: *dairy, grains, beans (green beans are only beans allowed), processed foods and stay away from *sugars, excess starches and *alcohol. Diary: grass-fed only. Use it sparingly for the next 30 days. Stay away from yogurts. Sugar: limit to honey and maple syrup as a treat on top of apple slices or in tea, do not use daily but if you are looking to loose weight you will want to limit your consumption. Alcohol: up to three glasses of red wine a week (avoid other alcohol until challenge is over). This diet is recommended for those that work out 3-5 times a week and 1 time a day. If you work out more then. Tracking: measure waistline, photo of front, side and back. If you really want to track log your meals and snacks and water intake. Email shannon@crosfitswportland.com for the guideline to be sent to you. A print out is at the gym by bulletin board and posted in CFSWP FB foodblog. Clean eating challenge begins June 1st: (This challenge is slightly different from our January strict paleo challenge, this is not a 30 day strict paleo but it is clean paleo eating challenge). See notes below. Please arrange measurements, before and after pictures with Shannon@crossfitswportland.com. Drawing/raffle prizes will be announces shortly after the end of the challenge. Goal: hard work at the gym & good nutrition = A leaner healthier you. Get ready for summer and show off those muscles! Keep us posted on how you are doing on our CFSWP Face Book food blog page. Search for it in your Facebook search engine. If you do not like our page, please do so to stay updated on upcoming events! (There are many great cook books out there on paleo we suggest you look at some great blogs online, we also have books at the gym you can check out, please return them so others can borrow them too). How to eat- Again we recommend reading Robb Wolf’s Paleo Diet book and 30 DAYS Total-Transformation guide e-book. • Eat this way 3-4 times each day. Stay away from processed foods! Do not skip meals! Plan ahead and then plan again. Alcohol – (3x a week red wine okay during this clean eating challenge)! Ready to sign up? Email shannon@crossfitswportland.com or put your name on the board at the box! Memorial Day – Special hours.